When hurricanes draw near to the coast, winds roar, and the fuel and water needed to power local business generators, vehicles, and other operations often flee as quickly as the area residents. When these disasters strike, companies can often be stuck in these tragic situations without precious resources. But, during these tragedies, the Campbell County-based Foster Fuels offers global relief. Foster Fuels was founded in 1921 as a family-run business providing residential, commercial, agricultural, transport, and emergency fuel services. Their residential services are available throughout Virginia (and beyond) and include pickup and delivery of propane, home heating oil, dyed kerosene, and clear kerosene. In addition, Foster Fuels maintains five Hearth and Home Store locations throughout Virginia supplying vent fireplaces, vent-free fireboxes, gas logs, freestanding and built-in grills, freestanding and wall-mount heaters, tankless water heaters, and more. Although local residents have learned to rely on the Foster Fuels team for daily heating and fueling, the bright red logo is also recognized as a sign of relief to those across the globe who are in need after natural disasters. In 2005, Foster Fuels developed the Mission Critical division to serve those around the globe before, during, and after any fuel or water shortages occur. For data centers, healthcare clinics, or power plants, downtime is not an option, so Foster Fuels guarantees fuel delivery using a nationwide network of supply points to provide generator fuel, heating oil, and other essentials. Foster Fuels can deliver up to 500,000 gallons of petroleum gas, propane, diesel, biodiesel, kerosene, water, and specialty liquids at a time, 24/7. This quality service has earned the business the Superior Supplier award from the Defense Logistics Agency (DLA). The Mission Critical division is ready to go at a moment’s notice. In September, as this issue went to print, Foster Fuels sent a caravan of trucks to communities affected by Hurricane Florence (later downgraded to a tropical storm/depression) as it crawled across the Carolinas causing major flooding. One of their most memorable responses of 2017 was Hurricane Maria. The category 4 storm hit Puerto Rico with winds of more than 155 mph, destroying at least 70,000 homes, causing 4,600 fatalities, $94 billion in damage, and leaving more than 3 million locals without power. Foster Fuels paired with the Department of Defense, the DLA, and the Federal Emergency Management Agency to send 128 trucks filled with diesel, gas, and propane to the affected areas. Supplying fuel to an area affected by a major disaster is a complicated task often involving the use of a barge to haul trucks overseas, while the 135 employees get additional vaccinations to protect them from any foreign viruses before quickly boarding a plane to the island. Once in Puerto Rico, Foster Fuels drivers were reunited with their trucks, but to ensure safety at all times, police escorts were used to scout the best routes for the heavy vehicles to travel, and to aid with any language barriers along the way. Hurricane Maria’s damage demanded 130 trucks and 150 individuals to aid with recovery. After many months of hard work in the area, all Foster Fuels personnel and assets returned home safely. No major accidents, injuries, or spills occurred during the operations. 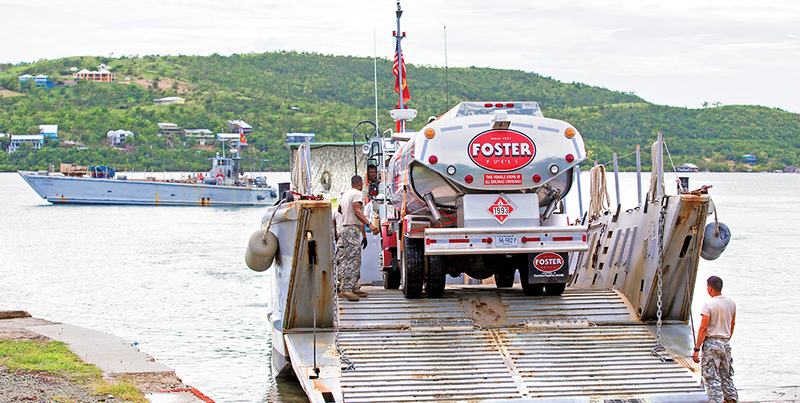 As one of the largest dedicated emergency fuel truck fleets in the country, Foster Fuels commonly responds to emergency events just like Hurricane Maria once or twice each month. According to Rohrig, the most important aspect to these missions is accomplishing the task the correct way, while maintaining utmost respect for customers, those in need, each member of the Foster Fuels team, and the team members’ families. Although taking care of residents and businesses is an obvious priority during a catastrophe, Foster Fuels also prides itself in caring for the members of the team physically and spiritually. While traveling for disaster response, members of the Mission Critical team engage in devotionals each morning and consciously make decisions based on Christian values. According to Rohrig, the best is yet to come for Foster Fuels’ Mission Critical division. The team is growing daily in response to customer needs. 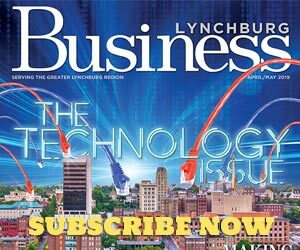 The support from the local community, as well as Central Virginia’s talented area workforce, allows their reach to extend far beyond our region’s water, propane, and fuel supply; they have become a company entwined in meeting customers’ needs on a global scale.